Fried Sour Pork Ribs: Fried sour pork ribs at a favorite restaurant in Chiang Mai. 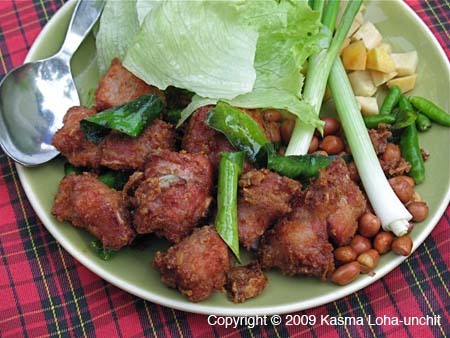 Kasma teaches this dish as Northern Fried Soured Pork Ribs in Advanced Series Set E (class 4). We also have many more Thai Food Pictures.